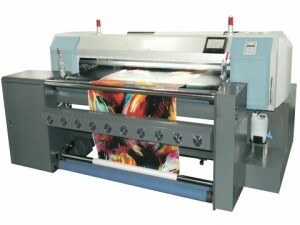 When it comes to digital textile printing and direct to garment printing, there is a lot of miss-information and questions about printing, ink, and pre-treatment. Here are some answers to some of the most common questions, but if you have further questions, please contact us so we can answer your questions for you. Q: What makes Alpha Ink Jet Chroma+ Pigment ink so different from other digital pigment inks on the market today? A: Alpha Ink Jet’s Chroma+ Pigment ink is like no other. It was created with the latest technology in the market today. It was created with the idea of creating an ink that would revolutionize the digital printing marketplace. It was designed to help screen printers convert to digital printing as well as help those already in the industry capture additional markets and revenues. Both situations required an ink that looked similar to current pigment screen inks and digital dye ink. But, also needed to perform with exceptional crock, light, and wash fastness. Chroma+ accomplishes all of these, where all others in the market fall short. Q: Why do I need to pre-treat fabrics to use Chroma+ pigment ink? A: Chroma+ pigment ink has binder in it. Many others do not. Because of this, Chroma+ performs very well without pre-treatment on some fabrics. Other fabrics, are much harder for pigment ink to adhere to. Even though Chroma+ has the highest performing characteristics of any digital pigment ink, in the industry, some fabrics may require pre-treatment. So, depending on the performance characteristics or look you are trying to achieve, you may need to pre-treat. It is our recommendation that you test each fabric to determine whether you need to pre-treat that fabric or not. Q: What is the finishing process for Digital Printing with pigment ink? A: Chroma+ requires that you heat the finished product at 350°-360° for 1.5 to 2 minutes. Pigment ink does not require pressure to set. You can set the ink with either a heat oven or a calendar press. Q: How do I become a business partner with Alpha Ink Jet? A: Please contact us for further information on how you can become a business partner of Alpha Ink Jet. Q: Where can I buy Alpha Ink Jet pigment Ink? A: Please contact us so we can introduce you to a business partner close to you.